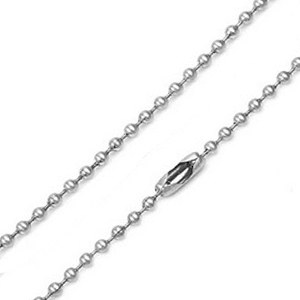 This 304 stainless steel bead chain works well with many of our stainless steel dog tags and pendants. Comes with connector. Can be cut if you prefer a shorter length. Brushed finish. Available in sizes 15, 16, 18, 20, 24, and 30 inch.